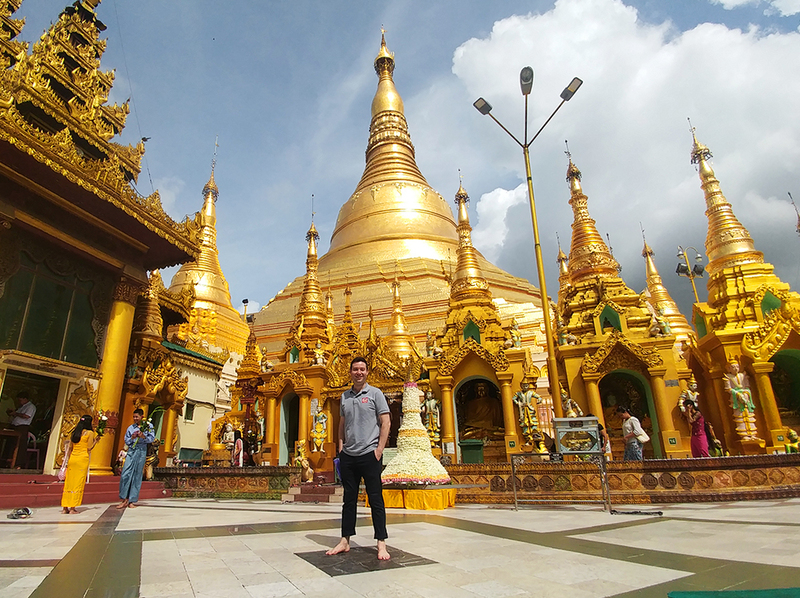 Leadership Network member Tim McCready discusses being part of an Asia New Zealand Foundation delegation that travelled to Myanmar in September to learn about the rapidly changing Southeast Asian country and explore business opportunities. The ‘Myanmar Matters’ trip was part of the Foundation’s ASEAN Young Business Leaders Initiative (YBLI), which builds networks between entrepreneurs and business leaders in Southeast Asia and New Zealand. Marshall didn’t follow the traditional MFAT route to an ambassador position, but instead spent eight years heading the International Labour Organisation’s Myanmar office. As a result, he was able to offer the delegation of business leaders and entrepreneurs from Myanmar and New Zealand profound insights into the country. Myanmar is part of ASEAN and the country has huge potential within the global economy. But more importantly, says Marshall, Myanmar matters because it is a country made up of over fifty million people, each deserving the opportunity to live their life without constant fear, and with the income, affordable education, and healthcare required to improve their situation. “Myanmar has experienced decades of repression, with citizens living in a nation that essentially ran on fear. The country is going through a major transition. From over sixty years of military rule, to some form of democratic governance; years of fighting to – hopefully – some peace; and severe poverty to a time of inclusive growth. “The military still plays a major role in the country in terms of control of the economy, and they will continue to have a big impact on the environmental and social fabric of the country – but the country has shifted from an arrogant government, to one that listens and is responsive to new ideas,” Marshall says. Marshall reiterated that business can – and should – assist the government in making changes. While business must achieve a return on investment, to be truly successful they should also contribute to the environment in which they operate. “We shouldn’t hide until the government puts standards in place – we should be proactive,” he says. Debbie Aung Din Taylor was born in Myanmar but her family left when the military took over. She grew up in Thailand, Nepal, Italy and the West Indies, before studying and working in the United States. Taylor returned to Myanmar in 1994 and co-founded Proximity Design – a non-profit social enterprise that produces and sells clever agritech devices, and offers financial and farm advisory services. The Myanmar Matters delegates visited Proximity Design’s factory in Yangon’s industrial zone and saw how it is providing a path out of poverty for rural families. Taylor agrees with Marshall that it is important for business to lead the charge as the country changes. “Farming needs to be lucrative to attract young people, and it needs to have less drudgery,” Taylor explains. Taylor vehemently disagrees with the statement frequently made that Myanmar is ‘the new Vietnam’. “It is not a new Vietnam,” she says. “Vietnam has a socialist foundation of healthcare and education that Myanmar doesn’t have. Thuta Aung, managing director of business consulting firm Hamsahub – a YBLI delegate and one of Myanmar’s strongest advocates for social entrepreneurship – argues that despite the challenges, there are exciting opportunities emerging in Myanmar. Myanmar’s place in the world – sandwiched between India and China, Bangladesh and Thailand provides connections that can be taken advantage of. As the country is rapidly pushed into the 21st century, the people of Myanmar talk about ‘leapfrogging’. The Burmese didn’t grow up with computers, and had never used the internet. Just a few years ago mobile phone sim cards cost around NZ$2,500 each. Upon arrival at Yangon airport, I picked up a sim card with 1GB of data for NZ$6. Now the country has one of the fastest growing mobile markets – more than 45 percent of the population uses mobile phones, bringing with it significant opportunity. Although ranked the 167th country in the world for ease of doing business by the World Bank this year – ten places higher than last year – Myanmar still has a way to go in terms of enforcing contracts, facilitating trade across borders, protecting investors, construction standards. The list goes on.